The transition to senior living is filled with uncertainty. Some seniors worry about being “put away somewhere,” left in a place “full of old people,” or endlessly bored. However, today’s senior living communities are nothing like what seniors fear. They’re active, engaged collectives of seniors who want to lead joyful and engaged lives while remaining as independent as possible. Senior living offers relief from the stress of home ownership, companionship instead of loneliness, and a gorgeous home from which to launch the retirement of your dreams. Don’t just take our word for it. A picture is worth a thousand words. Check out these snapshots of life at Arbor. If you crave contemporary decor, elegant architecture, lush landscaping, and a cozy setting without breaking the budget, we’ve got you covered. We offer beautiful rooms, an elegant dining space, fireside spots to cozy up with a book, and a pool that’s just calling your name. Our gardens inspire relaxation and serenity. Our lobby is a welcoming place of peace, not to mention a community hub. And our gym offers exercise space that’s every bit as good as the expensive fitness center near your house. At Arbor, we take every chance we can to celebrate. 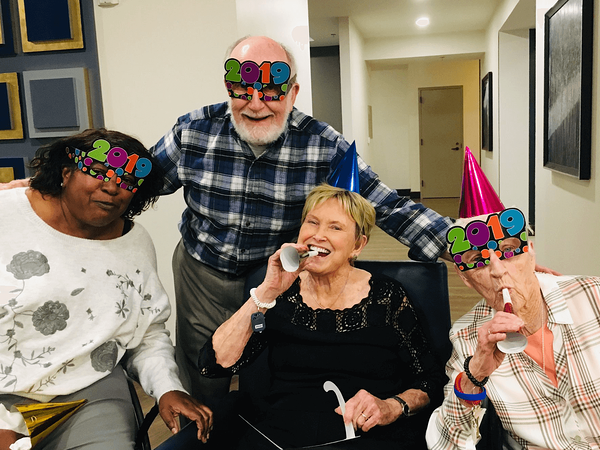 Check out 2018’s New Year’s Eve celebration. We spent the evening ringing in the new year in style, with cocktails, food music, and the Vintage Vixens. Our Christmas celebration featured dancing, family games, delicious food, stunning decorations, and endlessly stylish hats. For Veterans Day, we paid tribute to our community members who sacrificed their own safety for our nation with a moving Veterans Day ceremony. The choices you make in your senior years can affect how long and how well you live. Exercise improves mobility, reduces pain, lowers the risk of falls, and may even help prevent depression and anxiety. We know how important good health is to quality of life. Indeed, it might be your most important asset. That’s why we have a sparkling blue indoor pool so you can get in some low-intensity exercise. Our fully functioning gym keeps you moving and limber. And our many activities make exercise fun. Attend one of our dances and you might forget that dancing is exercise! Mental health is an important component of health, too. We know that strong relationships are the foundation upon which an exceptional life is built. We strive to give our seniors opportunities to celebrate their love — or to find new romance. Our team has served seniors for three decades. This is more than a job to us; it’s a calling. We treat our seniors like family. We’re consistently amazed by how much we get from our work. Our team is there to lure you out of your comfort zone, to celebrate with you, and to provide support when you need it. You deserve it. You’ve triumphed in the face of life’s challenges; you’ve spent your life working hard and trying to do good things. Now you deserve a little joy, a little rest, and a lot of love. Come visit us to see what we can offer you in retirement. 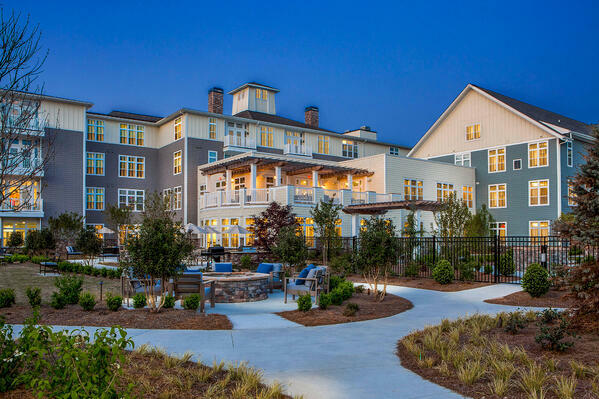 Ready to start your journey to luxury senior living in Canton, GA? Fill out the form below and we'll be in touch shortly!